There are so many factors that go into making a truly great Burger. One of the key ingredients that helps set phenomenal Burgers apart is sauces. While the traditional staples (Ketchup, Mayonnaise, and Mustard) are certainly always an option, experimenting with less traditional (and sometimes avant-garde) sauces can bring out the flavors of your Burger so much more. 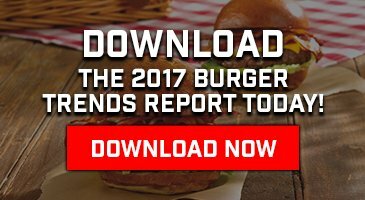 Let’s take a look at the Top 10 sauces you can use to spice up your next Burger! Dijonnaise: A combination of classic Dijon Mustard and Mayonnaise, Dijonnaise is a perfect accompaniment to Burgers, adding mild spice and understated sweetness to the savory beef. A light and bright sauce, Dijonnaise is best suited for Burgers with a vegetable element such as sliced vine tomato and Bibb lettuce. Sriracha Mayo: A combination of Sriracha chili sauce and Mayonnaise, Sriracha Mayo is a contemporary favorite of many diners. The sweet heat of Sriracha adds a strong kick to most meals. Adding Mayonnaise to the mix helps to offset the strong chili flavor and adds a creamy element to your Burger. Classic Aioli: A traditional Catalan sauce made by emulsifying garlic in olive oil. While modern interpretations of aioli tend to include egg yolk, making it closer to Mayonnaise, traditional aioli is much lighter and fuller flavored. The perfect accompaniment to a Mediterranean-inspired Burger, Classic Aioli plays well with arugula, feta cheese, and tomato. Horseradish Sauce: An earthier alternative to other spicy sauces, Horseradish Sauce can take many forms. While some prefer to mix prepared Horseradish with Mayonnaise and call it a day, there are plenty of other ways to make a delicious Horseradish Sauce with a little more time and effort. After chopping and grinding raw Horseradish into a paste, adding a pinch of Kosher salt and some freshly squeezed lemon juice can be just enough to add the right amount of spice and acidity to your next Burger. But if you like the creamier style, try combining your Horseradish paste with Sour Cream instead of Mayonnaise and perhaps a dollop of Dijon Mustard for color. Goes great with a plain Burger to bring out the inherent flavors of the beef. Traditional Fry Sauce: Traditionally a simple combination of Ketchup and Mayonnaise, Fry Sauce is popular all over the world for it’s simplicity and sweetness when paired with fried potatoes (and other fried foods). If you want to keep things simple, combine Ketchup and Mayonnaise and call it a day. But if you want to kick things up a notch, add a touch of Cayenne Pepper and some Toasted Minced Garlic for a richer, spicier flavor. Pistachio Pesto: Typically served on pasta or as an appetizer on toasted bread, Pesto can help brighten up your Burger and add some distinct flavor to every bite. While traditionally made with Pine Nuts, Pesto can also be made by substituting Pine Nuts with Pistachio Nuts to add more robust color and complex flavor. Serve on a Burger with arugula, tomato, provolone, and prosciutto to add some Italian flair to your Burger night. 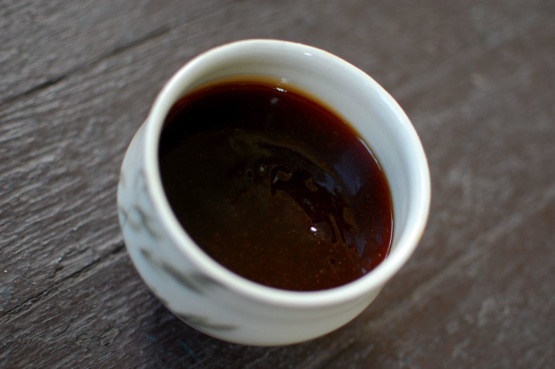 Toasted Sesame Teriyaki Sauce: Want to add some Japanese style to your Burger night? Consider topping your Burger with a traditional Teriyaki sauce mixed with a few drops of Toasted Sesame Oil. The inherent sweetness of Teriyaki Sauce will balance well with the Toasted Sesame Oil, adding more complex flavor to each bite and a distinct perfume to enrich your eating experience. Pair this fine sauce with a Wagyu Burger for the full effect, or try our Japanese-inspired Burger build: The Kobe-yashi Maru Burger. Mole Poblano: Mexican cuisine and Hamburgers might not automatically go together in your head, but trust us when we say Mole Poblano is the next Burger sauce you’re going to love. One of the many variations of Mole Sauce, Mole Poblano includes several ingredients cooked over many hours (or days), including chili peppers and chocolate. Sometimes served along, but often paired with meats, Mole Poblano adds a rich, complex flavor to anything it accompanies, along with the perfect amount of spice. Serve on a Burger with Oaxaca Cheese and fresh Pico De Gallo. Béarnaise Sauce: A child of the Mother Sauce Hollandaise from French Haute Cuisine, Béarnaise Sauce is made by including shallot, chervil, peppercorn, gherkin, and tarragon in clarified butter emulsified in egg yolks. A creamy and flavor sauce perfect meats (especially beef), Béarnaise Sauce will add the right amount of fresh flavors to your Burger while simultaneously bringing out the inherent flavors of the beef. Serve on a simple Burger with sauteed mushrooms or caramelized onions to bring out the best flavor. Bourguignonne Sauce: A staple of French cooking, made from a base of red wine with onions or shallots and a bouquet garni and mixed with a small amount of Mother Sauce Espagnole and butter, Bourguignonne Sauce is the perfect rich accompaniment to beef. Serve on a Burger with the onions or shallots you strained out of the Bourguignonne Sauce for a simple yet decadent treat. What’s your favorite Burger sauce? Let us know in the comments!